Whether you prefer a programmable or a non-programmable thermostat, Maeser can provide you with the thermostat that fits your lifestyle and needs. 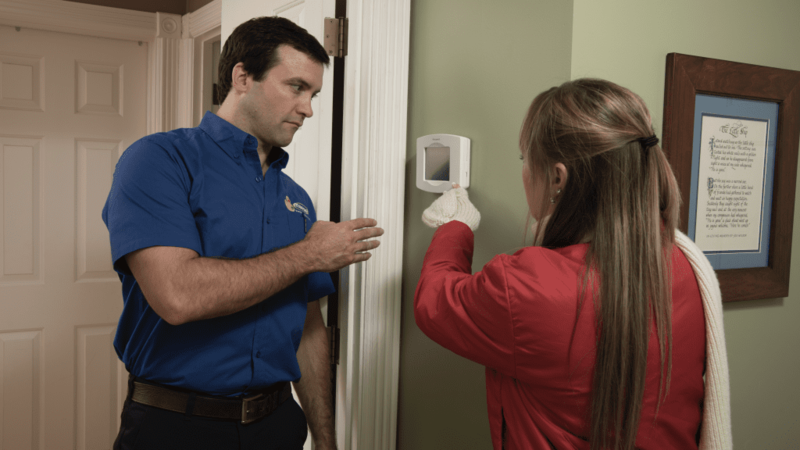 Thermostats we provide are designed to be easy to use and to maximize the performance of your heating and air conditioning system with dependable and consistent temperature control. Maeser can help you choose the thermostat that best fits your home’s heating and cooling system and your lifestyle. Click here to make an appointment online today or call us at 502-266-6545. Call 502-266-6545 or fill out the form to schedule your free estimate. Offer not valid with previous charges or with any other offers or specials. Customer must show offer at time of purchase. *With approved credit. Offer must be presented at time of investment. Cannot be combined with any other offers. On normal installation. Offer not valid with previous charges or with any other offers or specials. Customer must show offer at time of purchase.